We admit it: There are some (or more like, many) mornings where it’s everything we can do to will ourselves out of bed and grab a fistful of cereal or a crappy granola bar on our way out the door. It’s not like a gourmet breakfast is a realistic everyday goal. But that doesn’t mean we should settle for a sugar rush that will leave us sad and hungry just a half hour later. You’d be surprised how many healthy breakfast ideas require very little effort when put into practice. 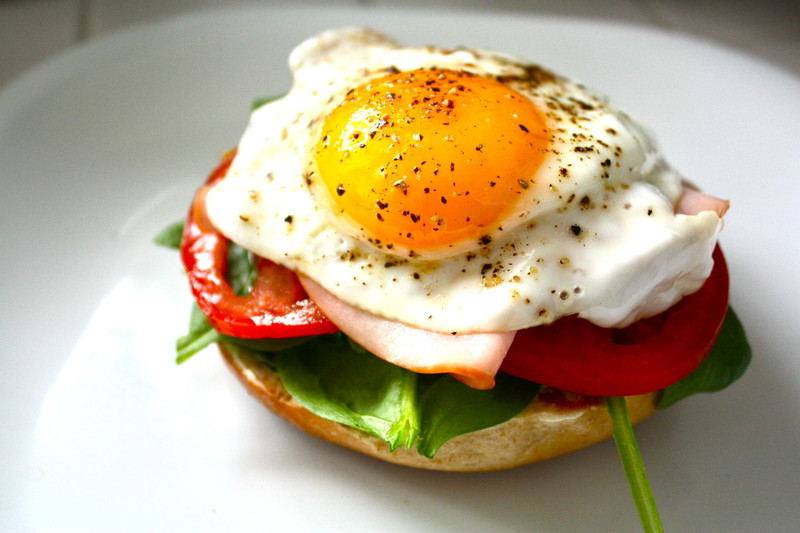 Who doesn’t love an egg sandwich? Simply toss arugula with olive oil and lemon juice before frying eggs with a dash of salt and pepper. Place on top of whole-wheat toast layered with ricotta and a sprinkle of Parmigiano-Reggiano cheese. Wrap in foil and enjoy whenever the craving hits!